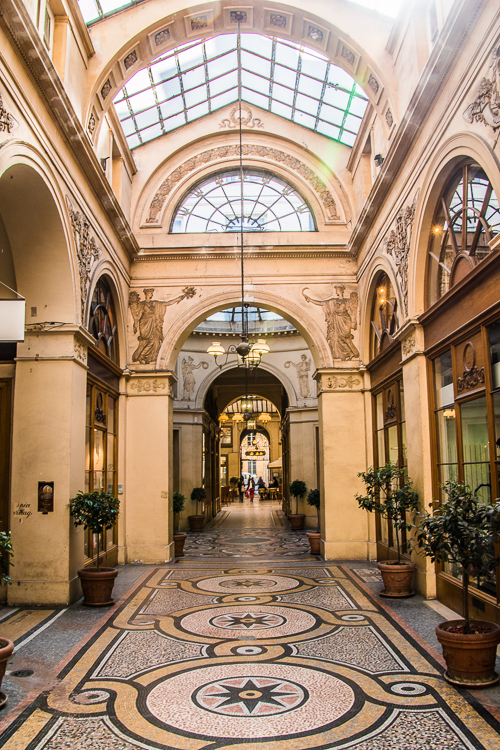 Passages were the first ever indoor shopping malls! 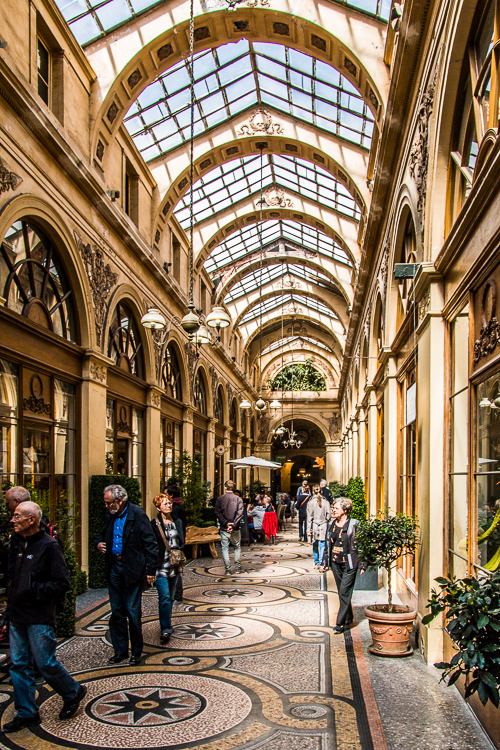 Back in the days before pavement or in Paris’ case, cobblestone, we’re talking 1820 or so, women had to get to the stores without getting their shoes dirty. 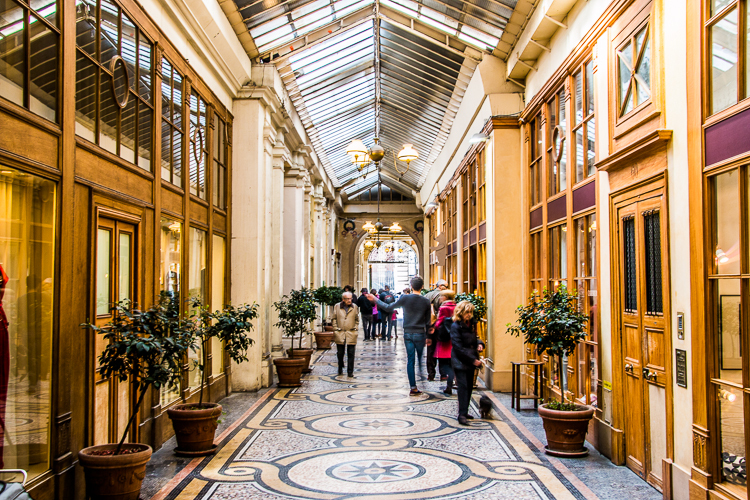 If you didn’t have shoes, you didn’t need to go shopping! 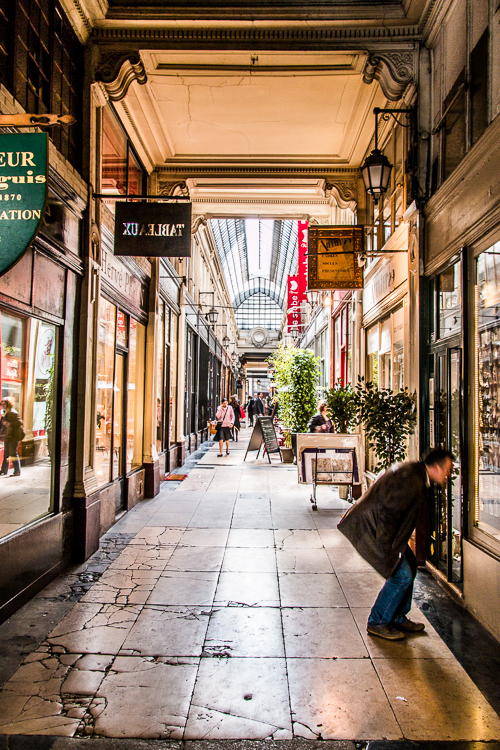 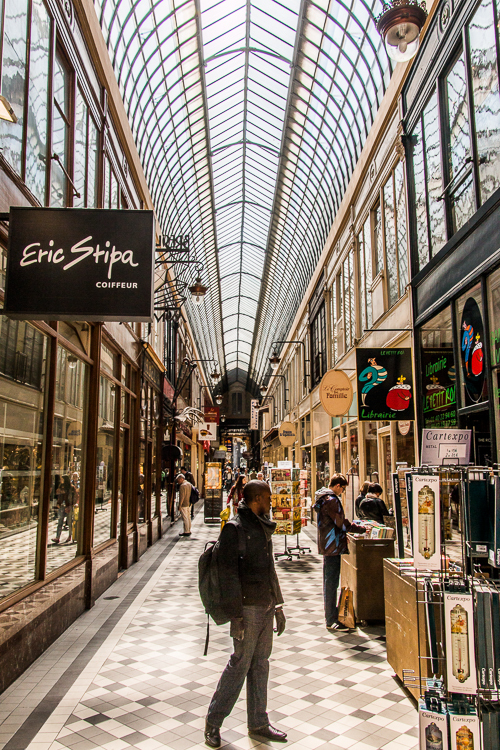 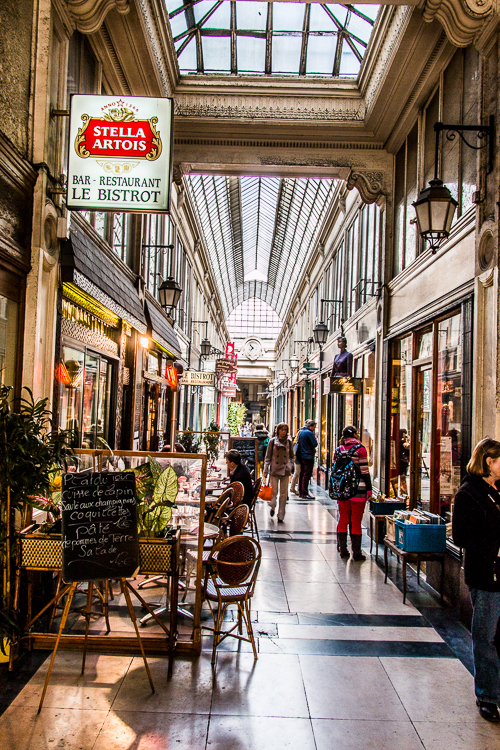 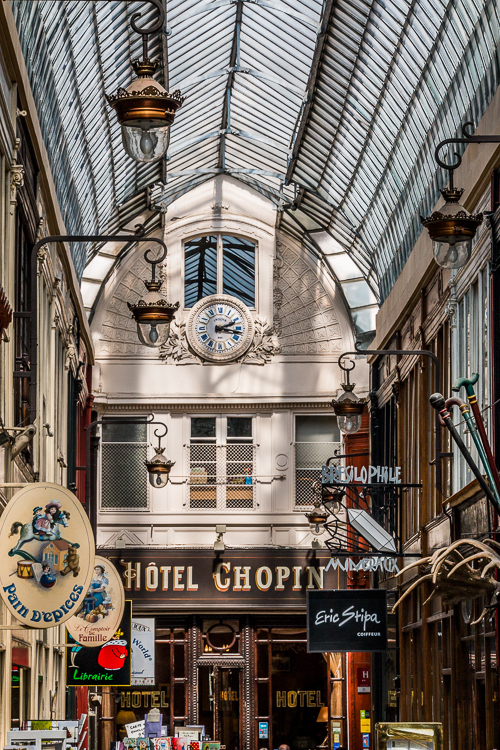 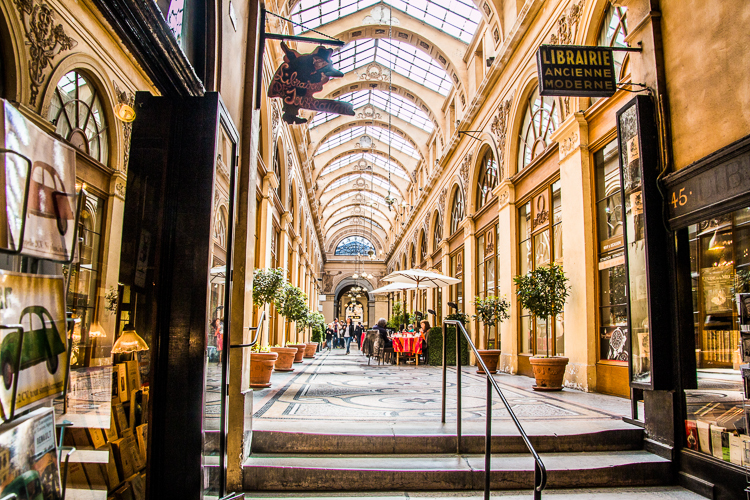 In Paris, the 17th century saw the beginning of covered passages lined with shops. 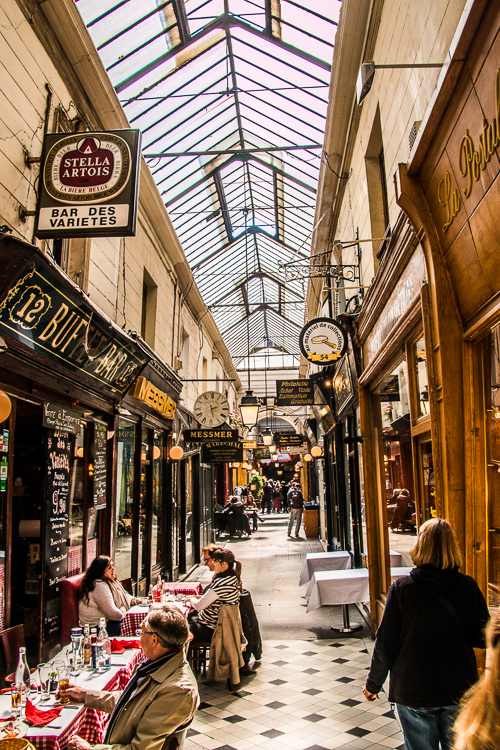 Most were to open a century later, and are part of 19th-century heritage, important to Paris. 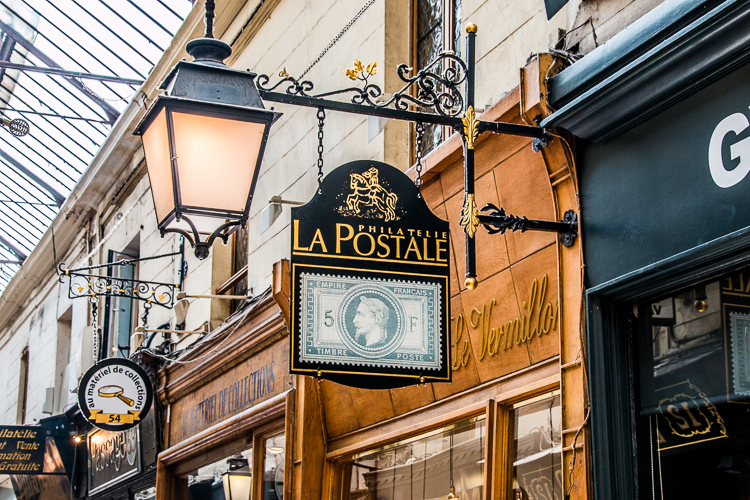 They are mostly to be found on the right bank of the Seine, mainly near to the Grands Boulevards, in areas that attracted the wealthy classes at the time of their construction. 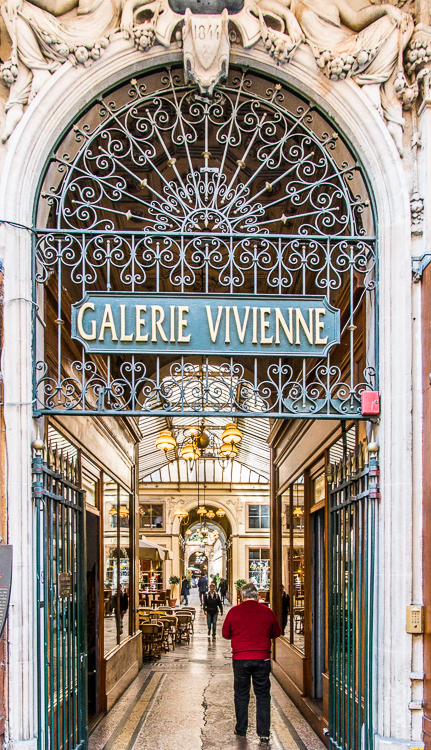 They usually take the form of a gallery which has been created by piercing through other buildings or that was built at the same time as them. 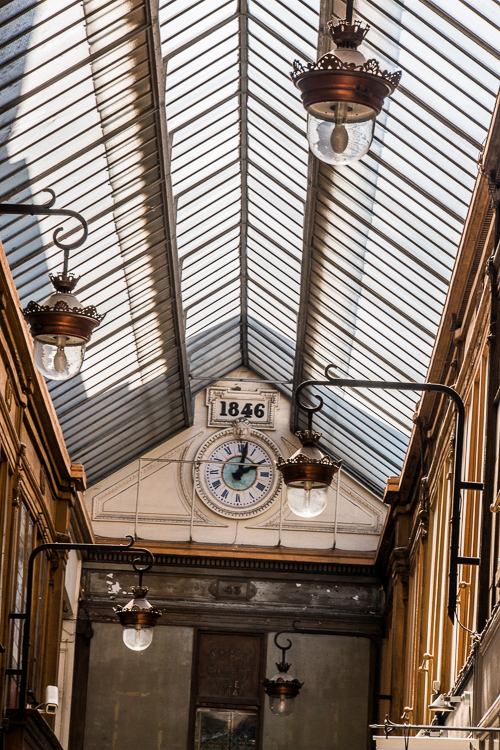 The galleries are covered with a glass roof which provides daylight from above and which gives a special effect. 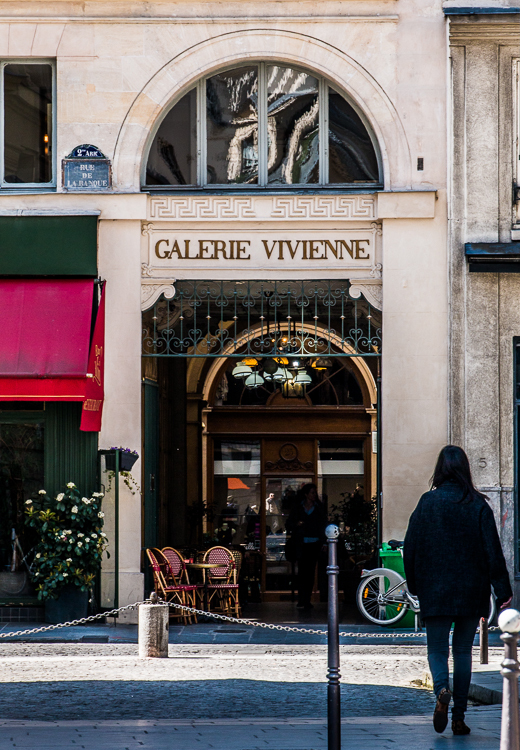 These galleries evolved over the years: they were ideal for escaping the crowds, meeting someone or shopping out of the rain and bad weather. 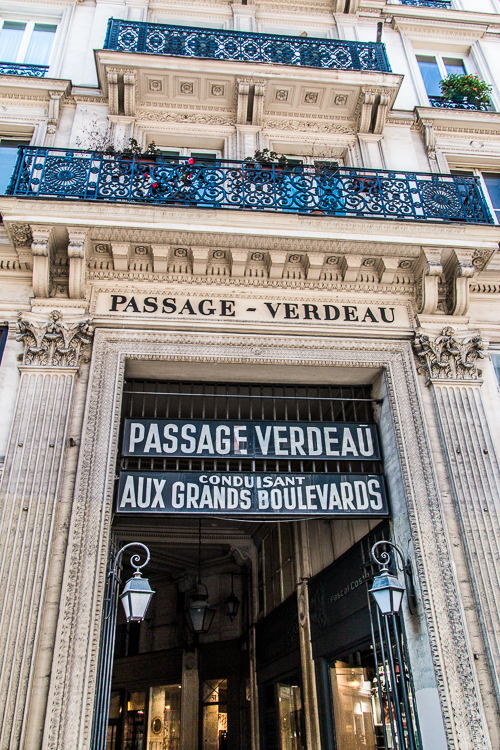 Abandoned, then revamped in the 20th century, twenty or so of them still exist today and are highly-prized by Parisians and visitors. 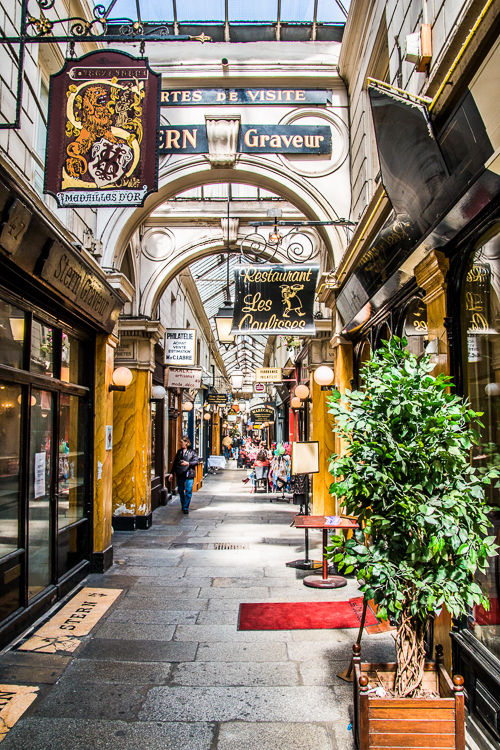 In them, you’ll find numerous shops as well as restaurants, art galleries, tea rooms, each with its own speciality. 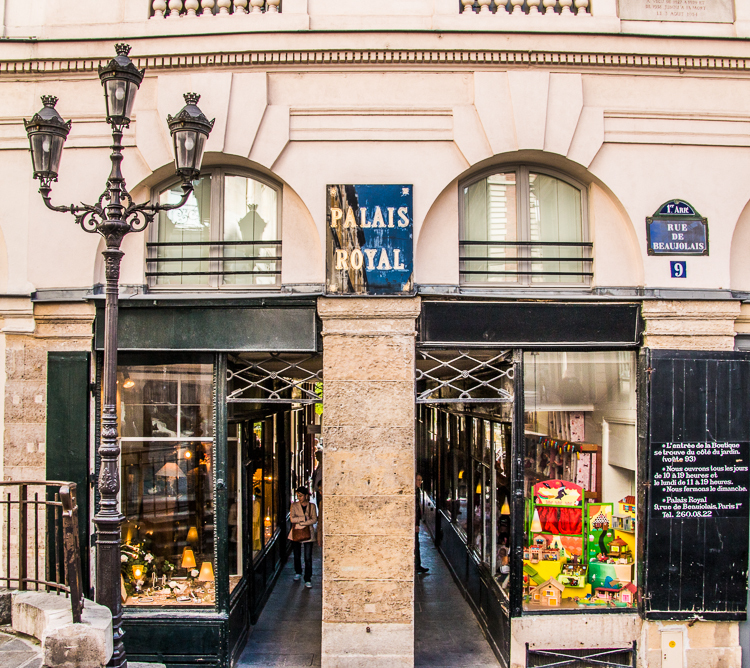 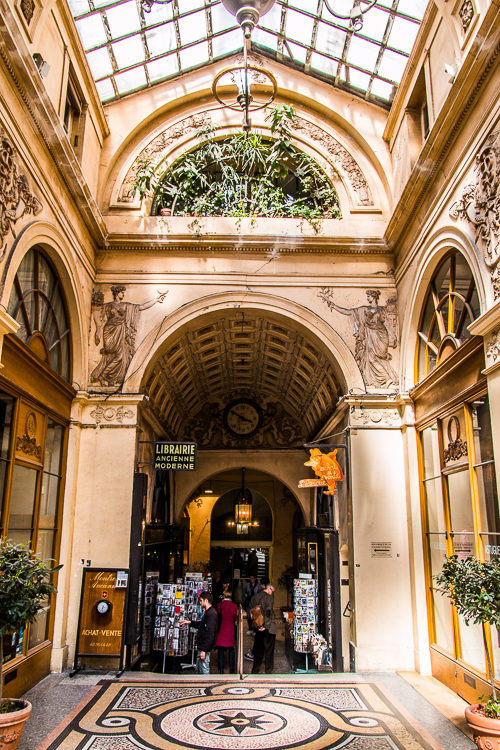 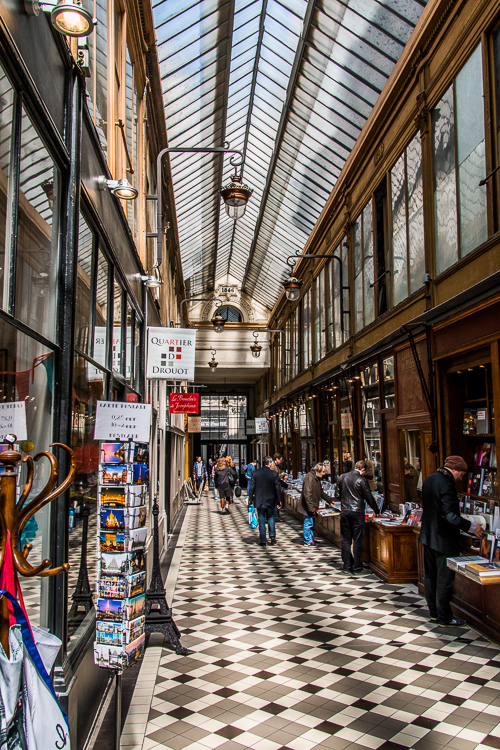 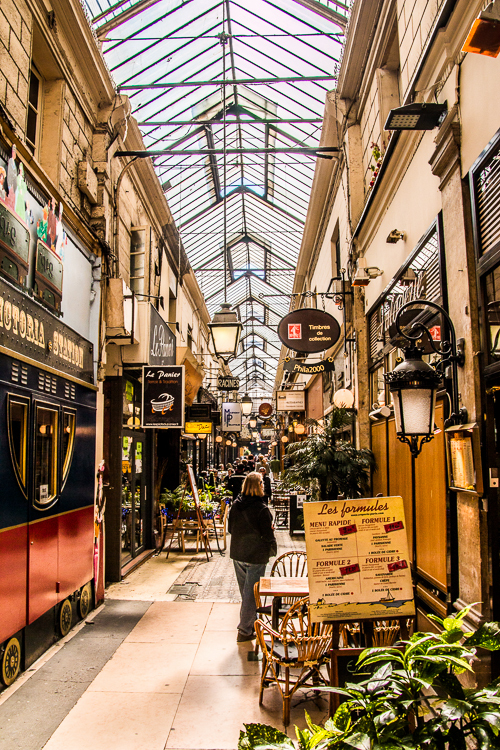 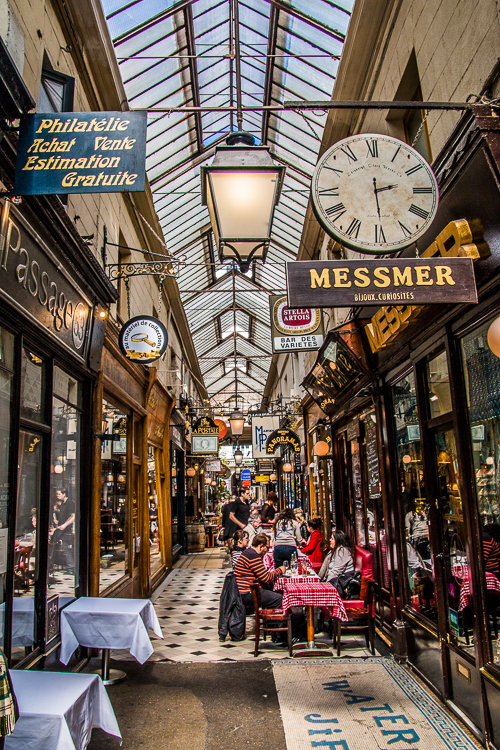 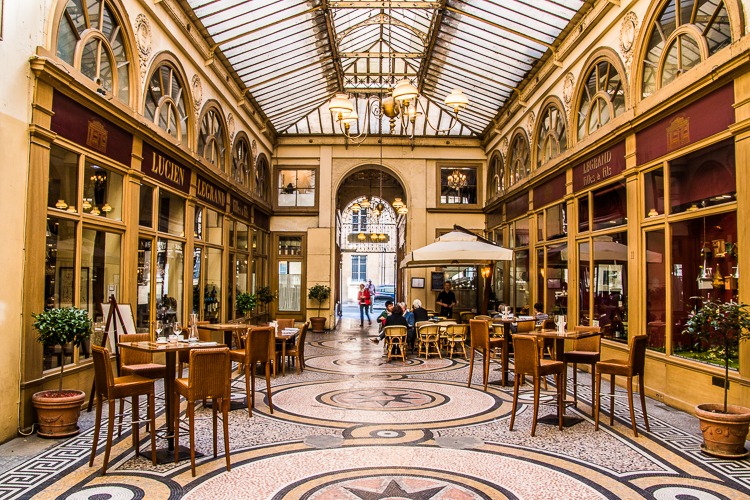 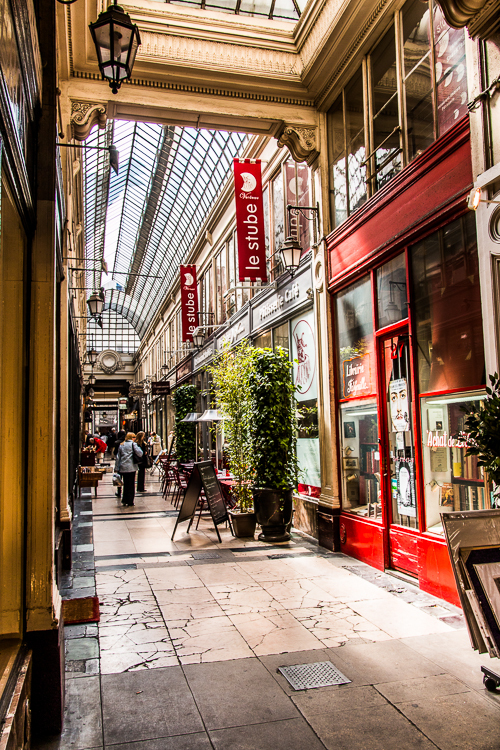 Passage Jouffroy, Passage des Panoramas, Galerie Vivienne, Galerie Véro Dodat, Galerie Colbert, Passage du Caire, Passage Brady… They are part of Paris’s history and the association ‘Passages et Galeries’, which works to preserve them, regularly offers guided tours. 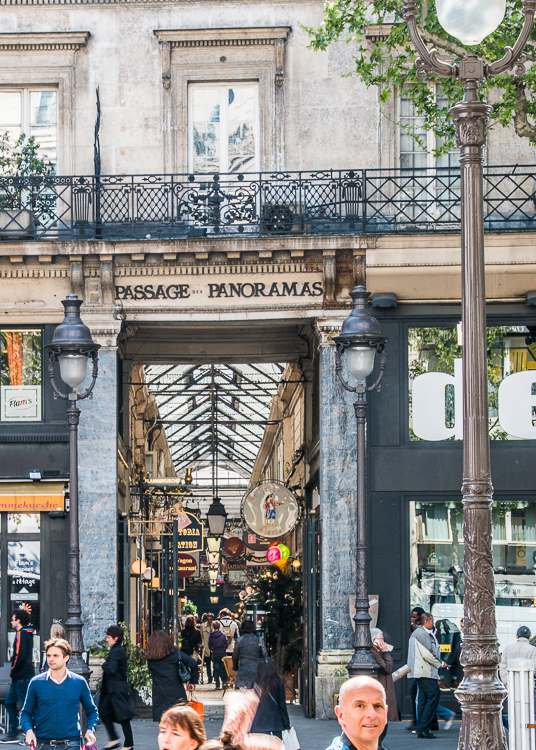 We hit them from the north going south starting at Passage Verdeau and then into Passage Jouffroy which was built in 1846 which leads you to Passage des Panoaramas; we then had to go a couple blocks outside in the horrible Spring weather and arrive at Galerie Vivienne which joined up with Galerie Colbert which lead you to the Royal Place. 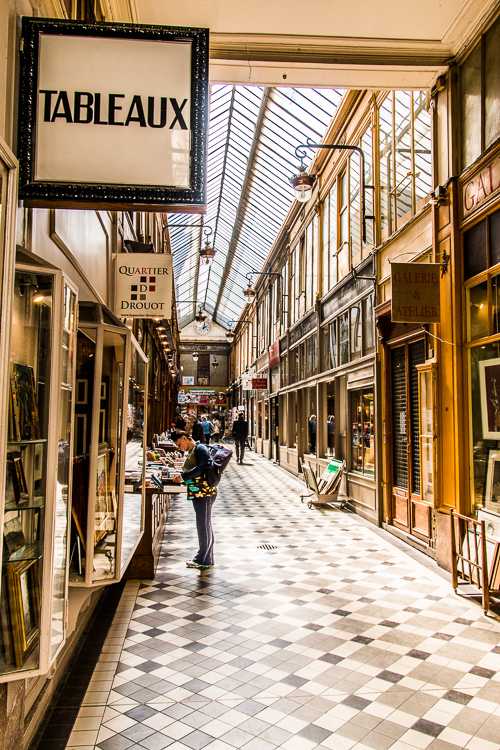 Pure Heaven on Earth walking!